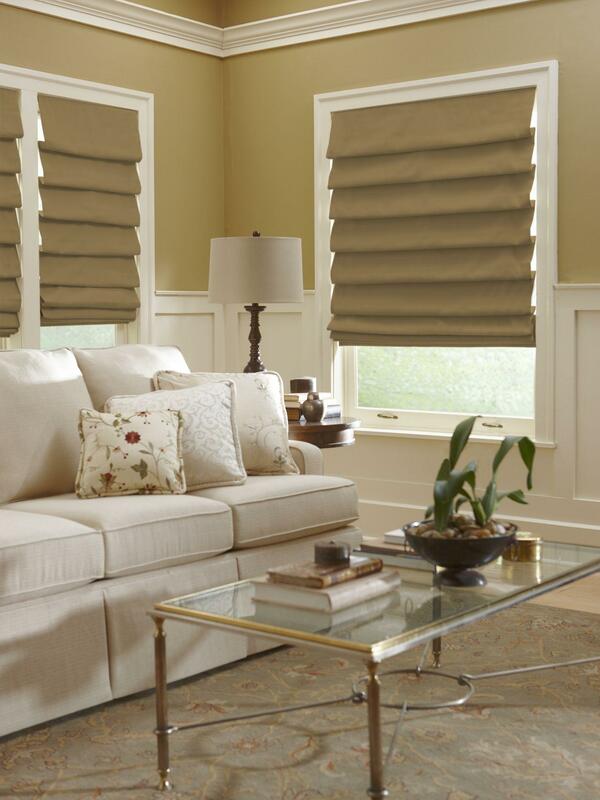 Roman shades ooze timeless elegance and are definitely a nod to design heritage. There is something about their signature pleats that always brings out our romantic side and makes us stop for a moment and rest our eyes on their gracious outlines. But what about their intriguing name? Is there a story behind it or is the historical allusion just a fluke? Apparently not. It all goes back to the glorious days of the Coliseum, now found in Italy’s capital, Rome, when the resourceful Roman architects thought of an ingenious canopy system meant to shade the roaring crowds from the scorching sun while witnessing the epic gladiator fights; they employed vast awnings that would retract in large pleats or expand evenly. Hence the resemblance with what we now call Roman shades, which are window treatments that stack in equally sized folds when retracted. And now, moving on to the next issue: are we supposed to say Roman shades or Roman blinds? Do these names mean the same thing or refer to different types of coverings? Technically, only the first one is correct, just because blinds indicate window treatments made from horizontal or vertical slats (such as vertical and horizontal blinds), while shades describe coverings crafted from a solid piece of fabric. Therefore, the term Roman shades shall be used throughout this entire article. The classic silhouette of this window dressing solution has undergone several variations along the time that focused on different segments, like the aspect of the pleats, stacking system and trims. Shape-wise, one of the most mainstreamed profiles is the flat one. It has no exposed seams, featuring a clean look that will bring tasteful symmetry inside any room of the house. That is because the pleating rings that help the shade retract uniformly are sewn on the back of the fabric and are not visible from the front. In this way, lavishly decorated materials can be exposed in all their beauty, as the original pattern will not get interrupted by horizontal stitching. 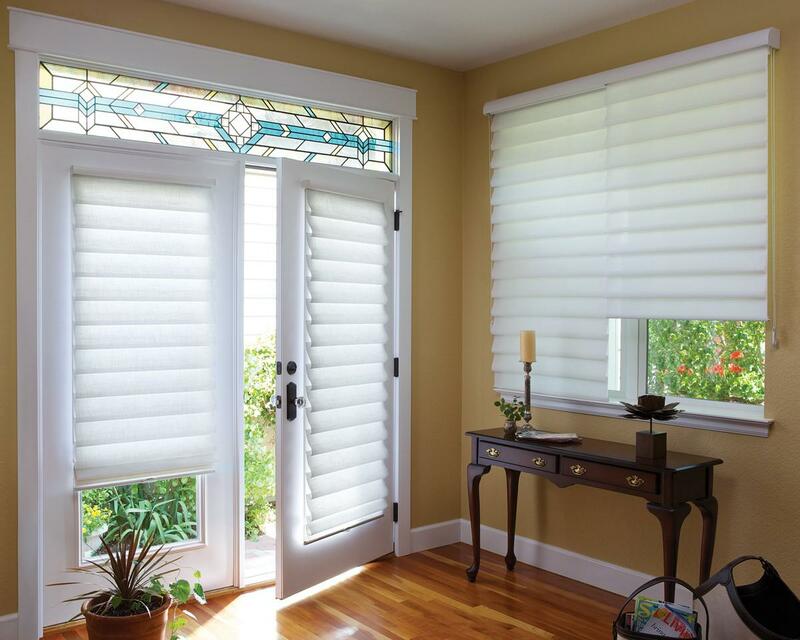 Hobbled Roman shades (often called soft-fold shades) flaunt plush folds that cascade over the window, showing the marvelous way in which light is reflected by the rounded fabric. This variation is suitable for textiles with smaller or geometric patterns, softening the décor and enhancing the coziness of a space. Also, the rich pleated design is bound to offer increased insulation and noise reduction, as the material traps the air inside its pockets. 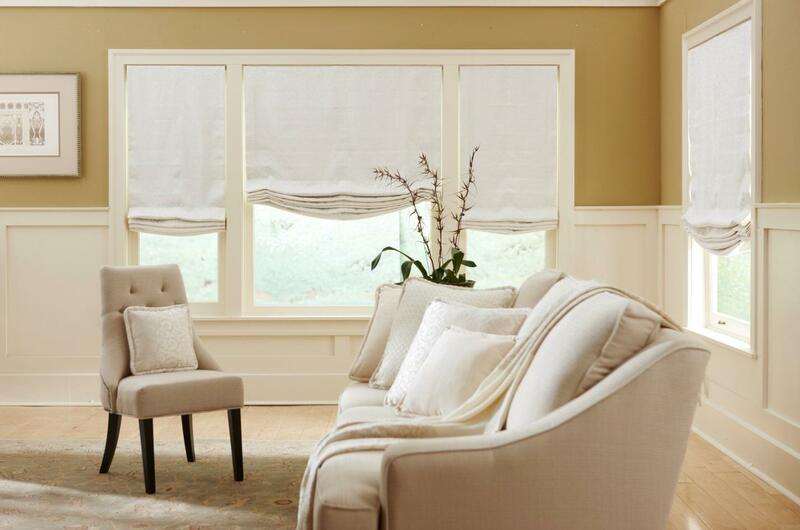 Showcasing a laid-back look, relaxed Roman shades have an easily-recognizable balloon shape towards the bottom edge. This casual appearance is particularly flattering with neutral or pastel-colored fabrics that have little or no patterns at all. Heavy or stiff textiles will not drape properly in this case, so it is best to avoid them. Instead, use light, silky ones that pleat effortlessly, creating a casual-luxe atmosphere. A more decorative interpretation of the relaxed style is brought by tulip Roman shades; they feature the same swag but with offshoot wings on both sides. If the width of the window and fabric allow, several scoops of material can be included. This model features identical segments of fabric divided by horizontal pockets in which thin plastic or wooden rods are inserted in order to help the shade retract neatly. For aesthetical purposes, they are usually tucked on the side next to the window glass. Moreover, the folds are stacked behind to create a tidy appearance; when the covering is let down, the seams impart a structured look. Luckily, the Roman style is so versatile that it lends itself to non-textile materials as well. 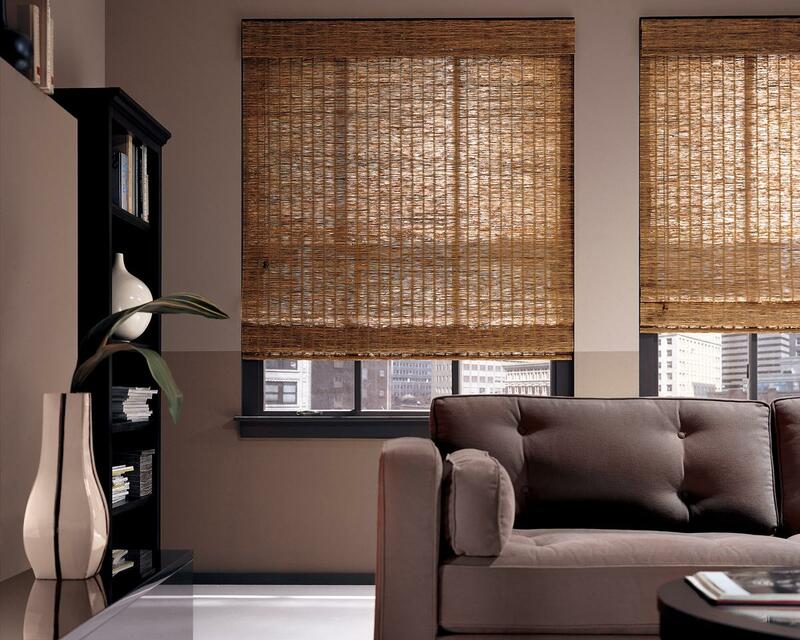 For instance, bamboo shades look impressive when pleated, ensuring a cool environment inside your house. Their insulating properties are unbeatable and the grainy wooden texture adds an incredible amount of panache to any décor. Various stains are available on the market, from warm dark tones to lighter ones, or with mixed pigments. Either way, make sure the ones you purchase come with a sleek valance that hides the top rail for a perfect finish. 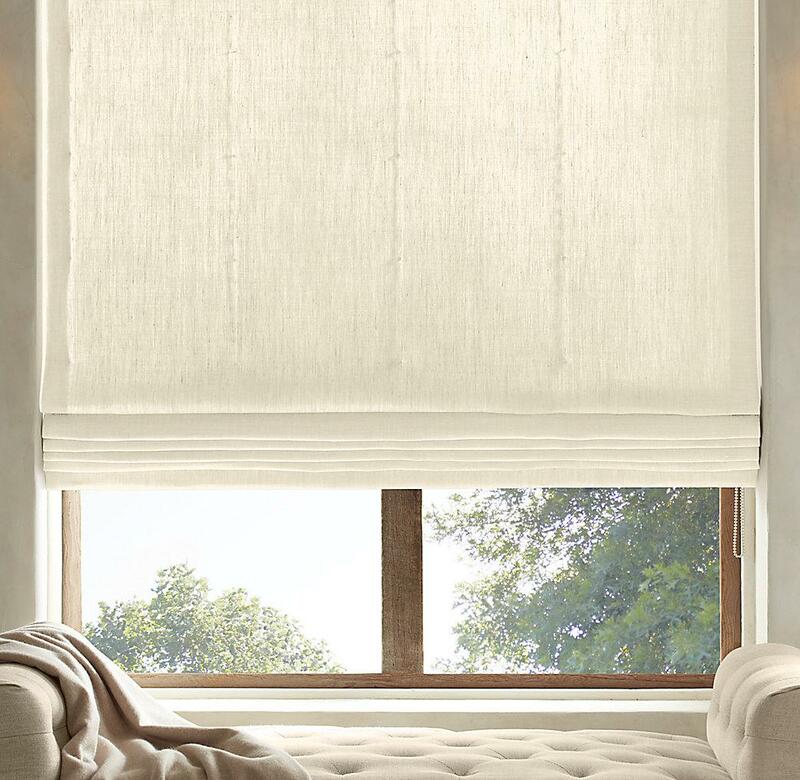 Several varieties of grasses and weeds can be woven into luxurious Roman shades, resulting into ultra-chic window treatments that will go perfectly with both urban and rural-inspired designs. Their character and intricate patterns have no match, so your interior will exude refinement, while the ambiance will be kept pleasant and dreamy even during sunny summer afternoons. The Roman folds will enhance their specific design by adding a three-dimensional appeal. To boot, they are ecofriendly and long-lasting, so your money will be spent wisely. Linen is a type of textile made from natural fibers that has been employed by people since Ancient times to create clothing garments that would adjust the body temperature and absorb moisture. Being very light, easy-going and chic, nowadays it has become super-fashionable. 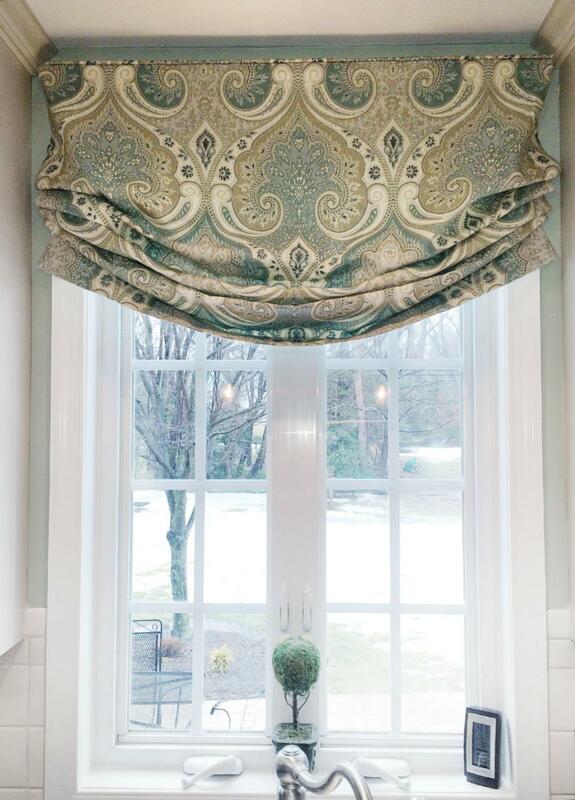 When used for window treatments, this fabric imparts a casual allure to the room; the best Roman shade style for it is the relaxed one, allowing linen to drape gracefully and create nonchalant folds. For wider windows though, pick the rear-tucked variety whose hidden slats will keep this coarse, flexible material looking neat. If you are looking to add extra flair to your windows while keeping the space well-lit during the day, sheer Roman shades are perfect. Their cascading shape and enchanting pleats will give the space a structured, stylish appearance while allowing natural light to flood the area. Among the translucent fabrics that go well with this type of window fashion are natural ones, like cotton, linen and hemp, as well synthetic ones, such as chiffon or viscose. However, their density should not exceed 30 den, or they will lose their transparence. To enhance the sheerness of your textile shades, try neutral colors that reflect the sun rays and are also flattering with the gracious Roman folds. 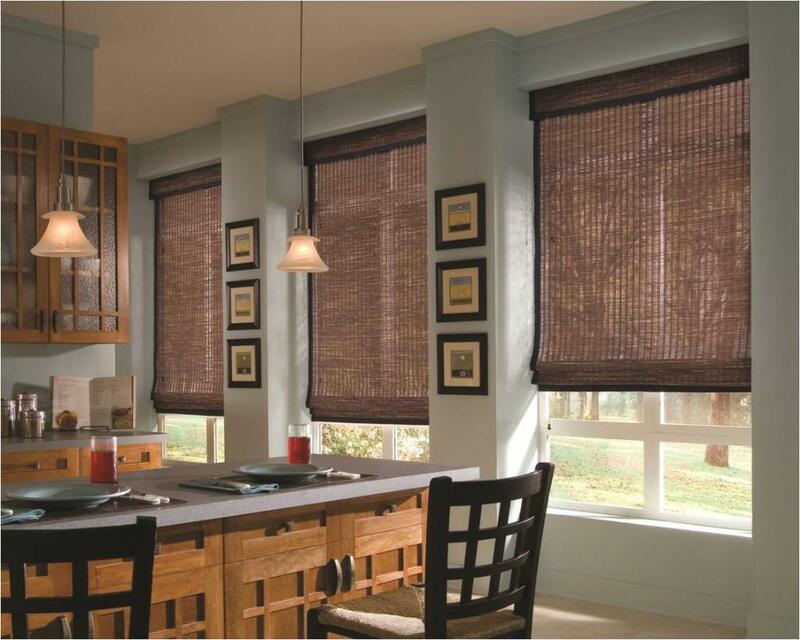 The blackout effect is not always connected with the type or shape of window fashions, but with the material that goes into their making. It has to be thick enough to completely block outside light and cover the window perfectly. 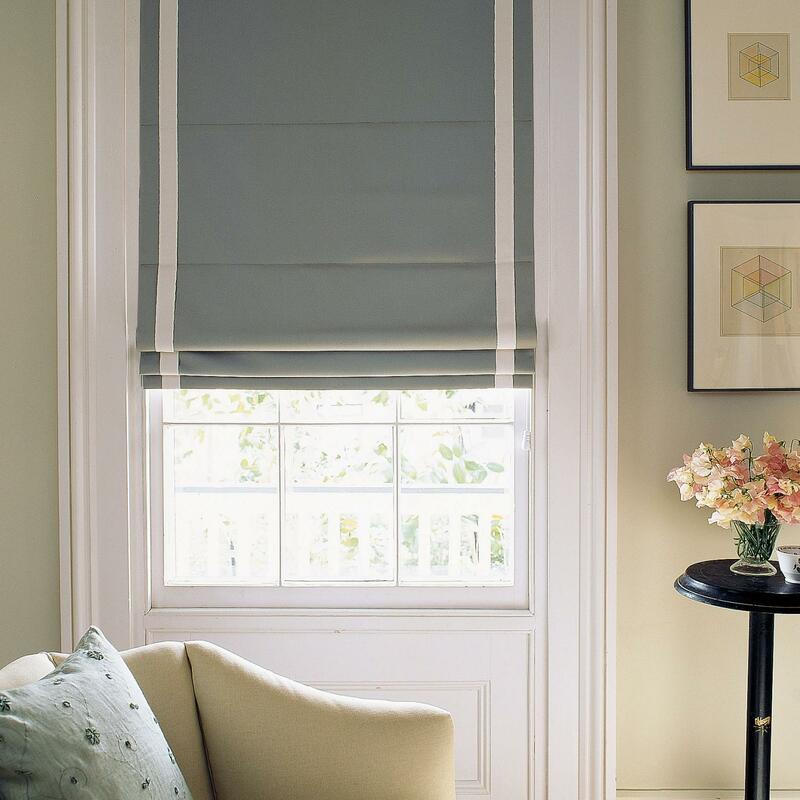 A total cave-like effect is difficult to achieve relying solely on Roman shades; however, there are certain tips to follow in order to maximize their room-darkening outcome. First of all, the fabric used needs to measure 100 den in thickness, which is the equivalent of complete opacity. Furthermore, it requires a blackout lining made of vinyl or other man-made alternatives, to entirely prevent the sun rays from passing through. This will alter the way the fabric behaves and certain models such as the tulip or the relaxed one will not work anymore; opt for flat, hobbled or rear-tucked versions instead that will keep the overall look tidy. Lastly, if possible, install the head rail on the frame of the window or above it and choose Roman shades whose width is larger than that of the window glass. Even so, the powerful day light might still creep in a little; therefore, adding a pair of dense curtains might do the final trick to achieve total darkness. 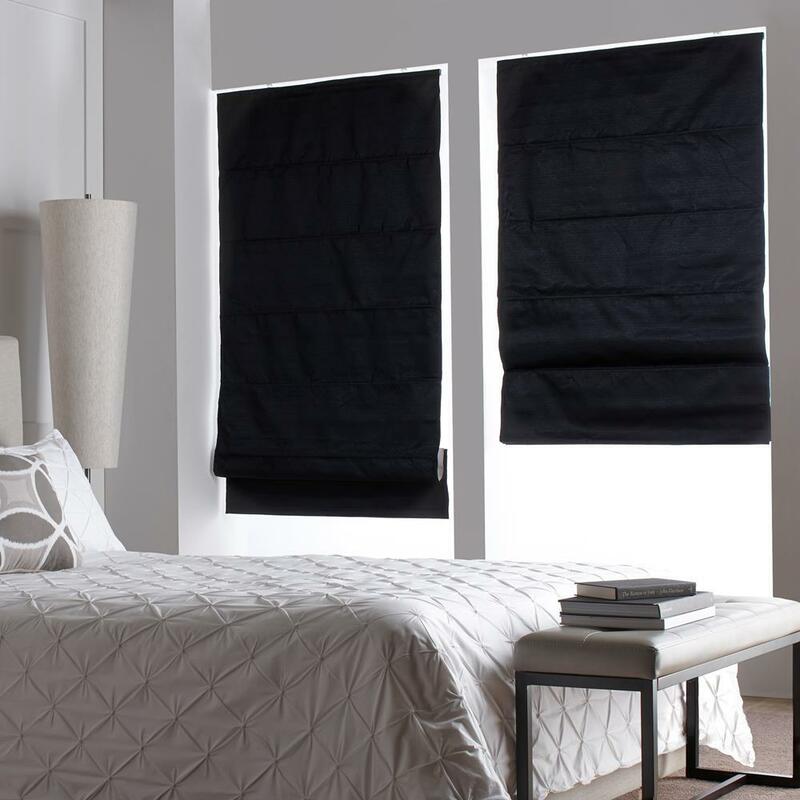 Carrying a truly dramatic touch, black is an impressive color to use for your Roman shades. 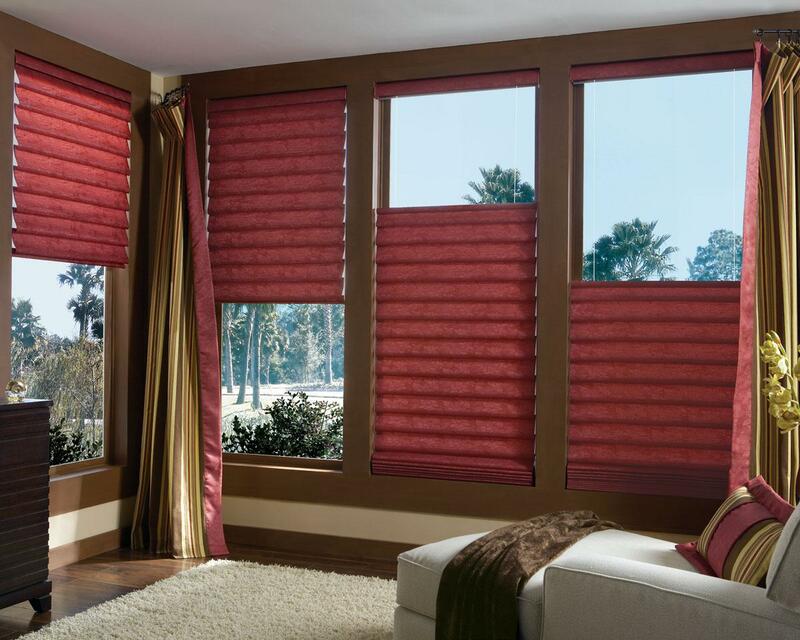 Its boldness will be swiftly quenched by the elegant pleated aspect of the fabric, making your windows stand out. It is also perfect to darken a space and create a soothing feel, especially if opaque liners are added. As a rule, mix them with other brightly-colored or neutral décor items to keep their silhouette from becoming to overwhelming. Being the absolute opposite of black, white is another color that is just as charismatic. 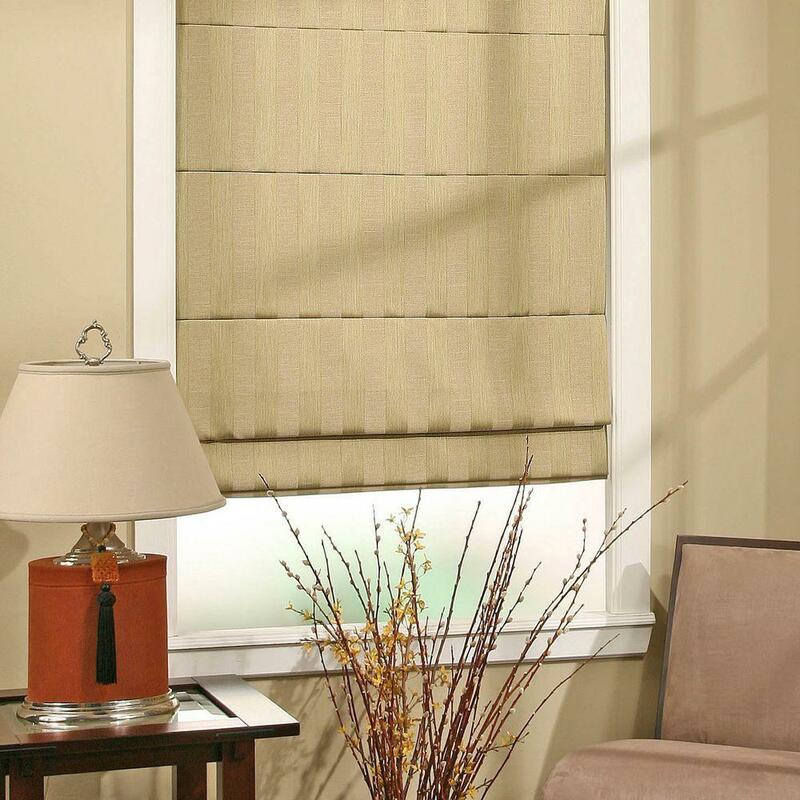 Featured on Roman shades, it delivers muted classiness with its fresh and luminous appearance. It will look equally flattering on all the versions of this type of window fashion, due to its nonchalant feel, so you basically cannot go wrong with it. For variation, balance its crispness with more rugged textures like that of coarse linen or lace, or add minute tassel trims on the lower edge of the fabric for a vintage twist. 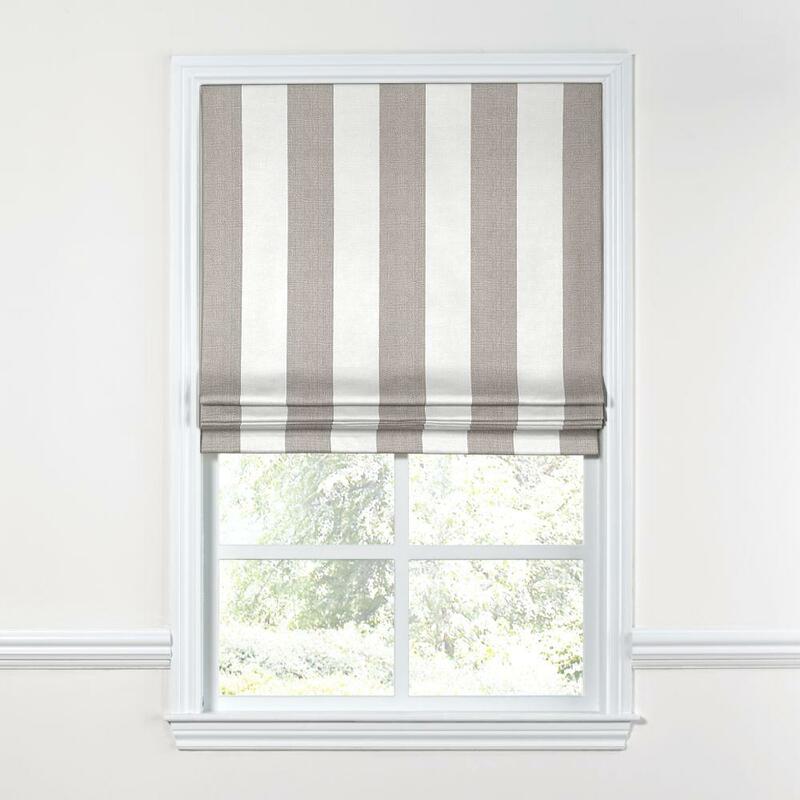 A cool, inexpensive way to add extra flair to your Roman shades is to use banding to define their silhouette and add more interest. 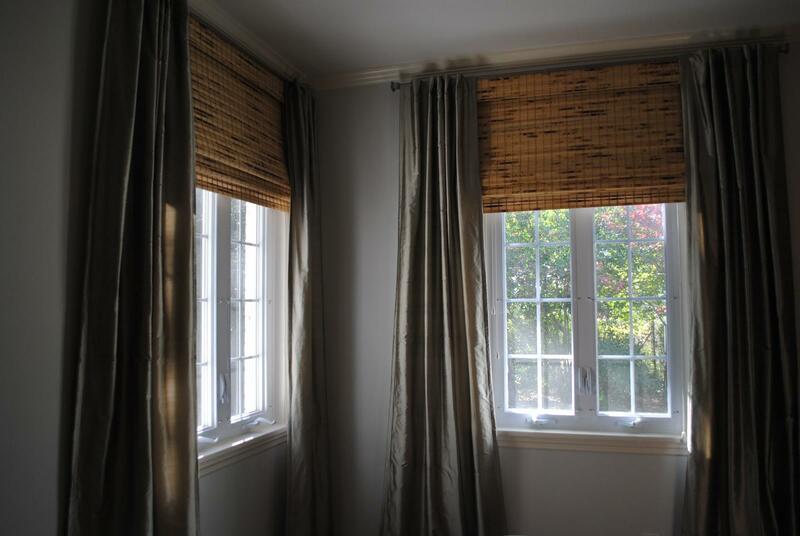 In the case of bamboo or woven wood Roman shades, bandings are best used right on their edges, for a smooth appearance. 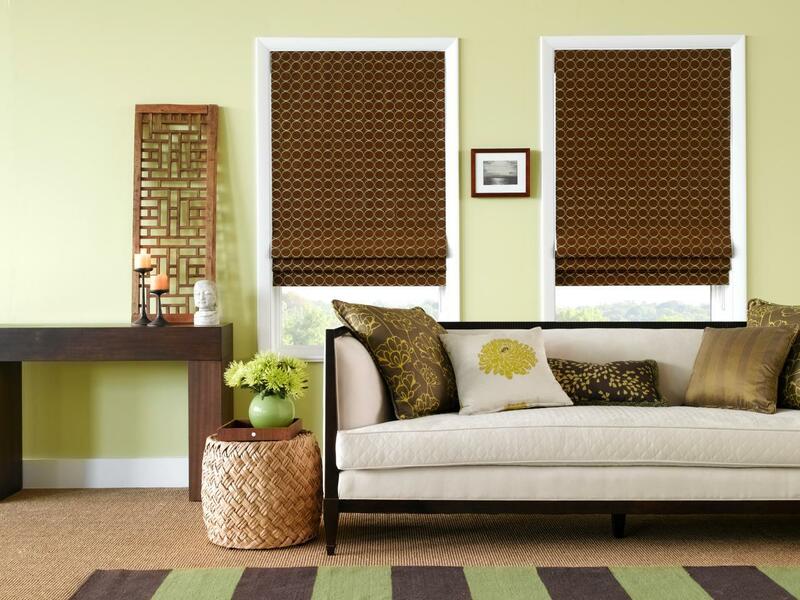 Fabric shades can be accentuated with ornamental strips sewn right on the material, softening and grounding the décor at the same time. The trim can reference the upholstery of other furniture pieces in the room or can be harmonized with the pigments found on the structural elements of the space, such as the wooden floors or window frames. In this way, you will create a well-balanced design that is also pleasing to the eye. 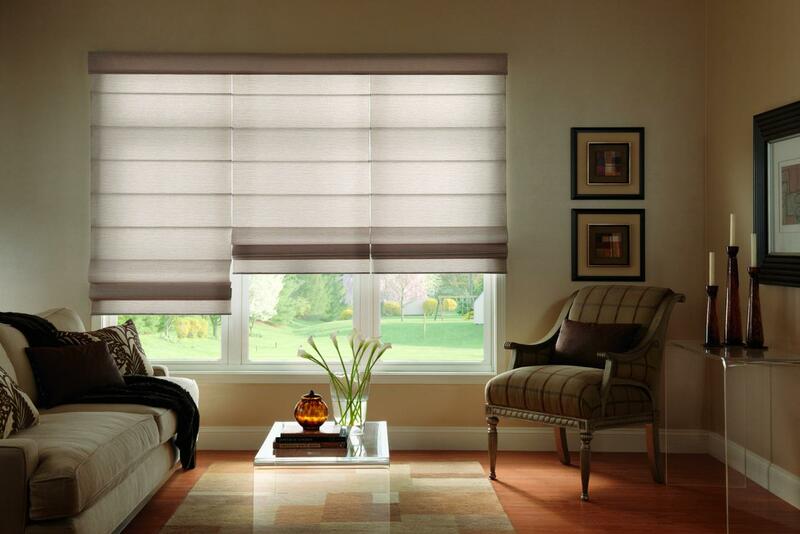 With cordless Roman shades you can create a perfect ambient that is also child-safe and pet-safe. Nowadays, there are more and more manufacturers that provide this feature at no extra cost; no unappealing plastic cords will dangle and ruin the look of your windows, and basically you can adjust the shades with just a touch of your hand. Pull them down or push them up – that’s how easy it is. Another great characteristic that it is nice to have for your shades is the top-down / bottom-up option. It allows you to adjust their position anywhere along the window, by moving the light-filtering fabric just where you need it. Also, this feature ensures more ways to enjoy your privacy while still benefitting from natural light; lower the shades towards the inferior half of the window to block curious peepers and leave the upper half uncovered, to get as much day light as possible. Not only do Roman shades and French doors allude to cultural and architectural references, but they also form a great design pair, by elegantly balancing and highlighting each other. Together, they create a stylish yet friendly combo that brings warmth to any family home. The shades keep the look of the doors unaltered, allowing them to be opened or closed with ease, regardless of whether they swing inwards or outwards. 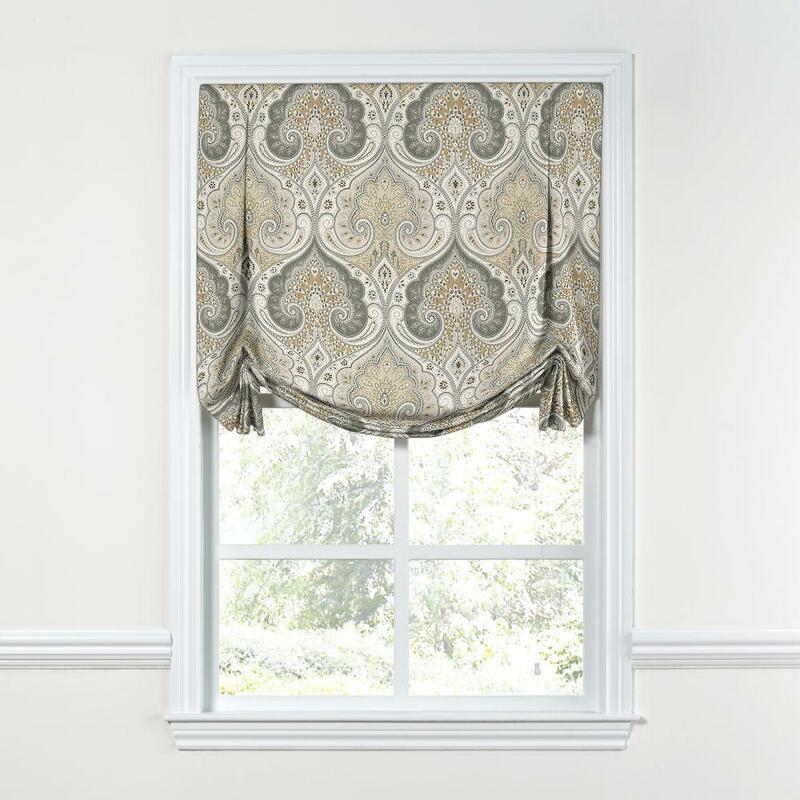 Use the same style and fabric for your windows for a consistent décor approach. 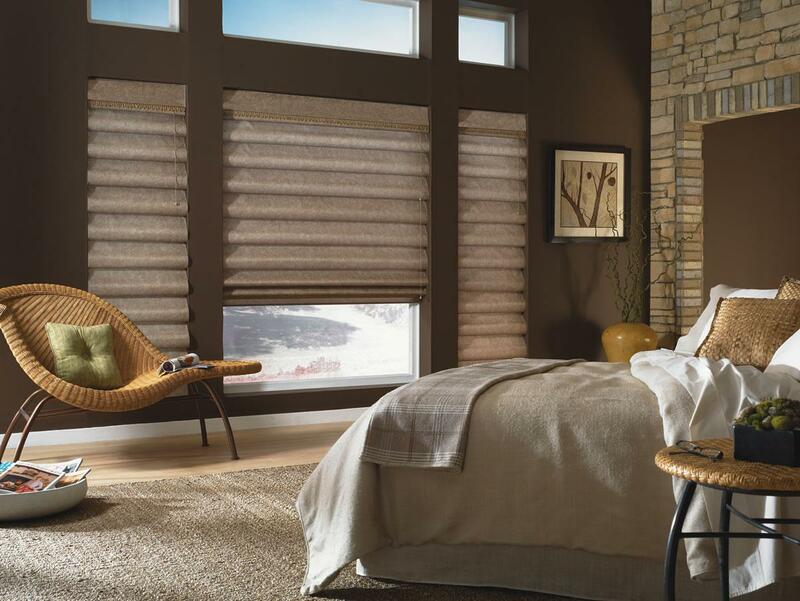 When it comes to world-class Roman shades manufacturers, Bali is a reputable company that stands out through the wide variety of fabrics and trims associated with this window fashion. It offers both light-diffusing and room-darkening options with matching aluminum head rails and you can also include valances in the design, for a faultless appearance. The available operating systems include motorized ones that will turn your shades into modern statements. 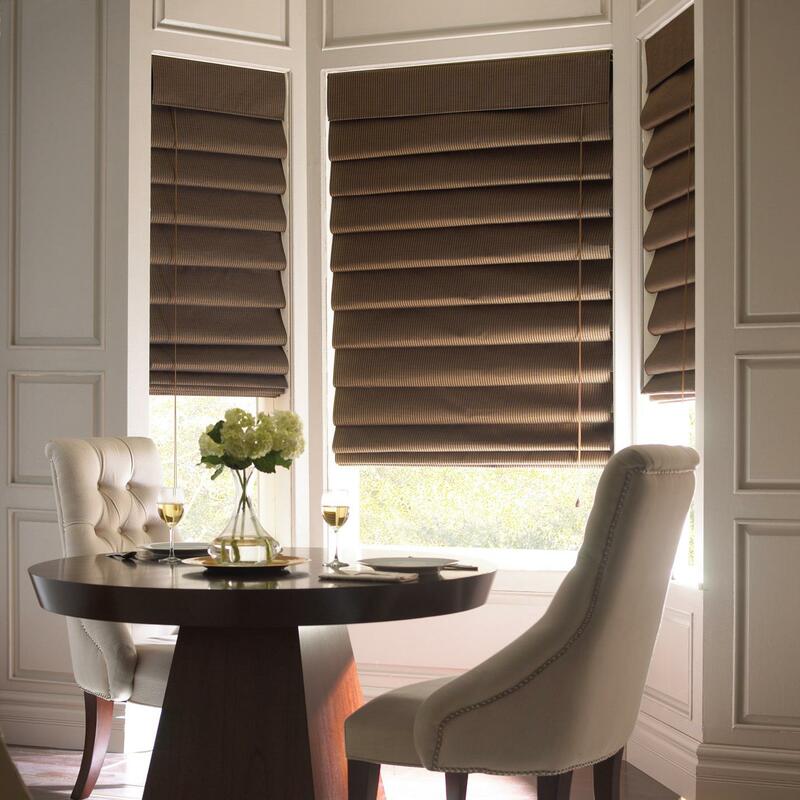 Additionally, custom products specifically made for your home are offered through the Tailored Roman Shades section on the official website, delivering hand-crafted, superior-quality coverings. This renowned company provides outstanding features to its range of Roman shades, being acknowledged as the true leader of the pack. Available in rounded and pressed folds, the products include various pleat sizes that are backed up by an insulating rear layer which also keeps the appearance consistent and neat. Moreover, the lifetime guarantee offered by the Netherlands-based manufacturer is another proof of its exquisite shades. As an element of originality, this firm also provides vertical Roman shades for sliding doors and wide window expanses. Both energy-efficient and highly-durable, these coverings glide seamlessly and can be stacked wherever you want them. The allure of Roman shades is almost irresistible, and if you fancy adding a deluxe touch to your windows, these coverings have the right amount of lavishness without being too pretentious. In fact, they will enhance the coziness of any space with their unique stackable pleats, offering a place to dream and relax.